Bill Simpich - Good morning, I’m going to have some handouts go around, and if we’re short just share. There should be almost enough for everybody. And well be looking at this material over and over again on the screen anyway. I’m going to offer a hypothesis, I call it “The Mexico City Solution,” that I’m asking you to join in, to contribute to, to criticize, to add to the body of research. There is a wiretap that reports a Sept 28th , 1963 phone call to Mexico City and its reported to have been made by Lee Harvey Oswald and a Cuban employee at the Consulate, Sylvia Duran. And this call was supposed to be from the Cuban Consulate to the Soviet (Russian) consulate. Now, I think this phone call is a fake. And I think the follow up call where Oswald introduces himself by name, on October 1st is phony too. I’m going to show that CIA, and FBI, and Cuban operations officers, and the Mexico City station were on top of the Oswald legend in Mexico City. And the focus was to red bait the Fair Play for Cuba committee, and to test the loyalties of Cuban Consul, Escubio Azcue, who was about to leave to and go back to Cuba. After a man called Oswald visits the Soviet and Cuban consulates on September 27th, someone impersonates Oswald, and Duran in phone calls on the 28th and Oct 1st. woman, Duran, the consulate worker in phone calls on the 28th and the 1st. I believe the documents show that CIA Cuban operations officers, and we’re going to name them today, became the prime suspects in an investigation in early October ‘63, conducted after the Oswald / Duran phone calls and before the JFK assassination, trying to figure out who impersonated Duran and Oswald. In this investigation all references to any Oswald visit to the Cuban consulate, any attempts to get a visa, and his membership in the FPCC were withheld in the paper trail of the CIA memos. It looks like, in other words, that someone in Cuban operations impersonated Oswald and they did it precisely to create a paper trail by those trying to figure out who made that call. And that someone’s goal was to use that paper trail to blackmail all leading players in intelligence on the American side come the day that JFK was shot. Now, here are the main actors, if you got your handouts, question, [ to the A/V guy ] can you scroll to the very last document , that’s like 50, 51, can you do that? If you can’t, not a big deal. Here are the main actors. [ To the A/V guy ] Ah, that’s slide two, I would say just forget it, because it’s probably too difficult, I’ll just read them out. Ann Egerter, she’s a CI/SIG analyst who is central here. She referred to CI/SIG as the agency that spied on its own spies. Staff D Some of the old timers may not know Staff D very well. That was the worldwide communications intelligence division. And, can you read that, okay? And a big part of Staff D’s assets was the wiretap info. The best of their stuff went to their chief who was Bill Harvey. I think most people here know who Bill Harvey was. Show of hands? That helps me. Thank you. audience member - (mocking Peter Janney’s presentation ) Was it Bill or William? (Big Laughter ) Ah, both. WH - is Western Hemisphere division. Their role is relatively neutral here because jurisdiction for Cuba which used to be called WH/4 was moved to Bill Harvey and Taskforce W in late ’61. Western Hemisphere was given the initial task of investigating the assassination before Angleton managed to seize control of the investigation away from them. Now Taskforce W was the CIA’s Headquarters division focused on Cuba. In ’62 its chief was William Harvey, or Bill Harvey. Some say the W stood for William Walker ( RIF #104-10106-10564 ) which was one of Harvey’s aliases. The historical William Walker conquered Nicaragua during the 19th century. The headquarters taskforce for Cuba was one of the biggest divisions for the CIA during the ‘60’s. SAS Now that’s a new name for Taskforce W, when Harvey got shipped [ off ] to Italy for fighting with the Kennedy’s during the Cuban Missile Crisis. He put in about 60 men into Cuba right in the heart of the crisis. He had a big brawl with Bobby Kennedy. He left in disgrace and got shipped to Rome. Desmond Fitzgerald - Came to be in charge after that. Fitzgerald continued Harvey’s policies to split the regime, including his “get Castro program,” his assassination program. We are going to talk about that in a moment. Now, Harvey had a third hat, and that was ZR/Rifle, that’s the assassinations regime. So, besides being the head of communications intelligence in Staff D, and the Cuban desk with Taskforce W, he’s [ also ] the head of ZR/Rifle, the assassination unit which is tucked inside Staff D. Trujillo, the Dominican Republic guy; Lumumba in Africa [ theCongo, ] Castro, Che, they are all targets of ZR/Rifle in the early ‘60s. Harvey’s goal, again, it’s well documented was to split the Castro regime, foment an internal coup among its military leaders, and pave the way for an American take over to support the coup after it was successful. Now, the Mexico City station was the crown jewel of WH, the Western Hemisphere division. It’s the spy capital, if you will, it’s the wiretap capital of the Americas, Staff D’s biggest asset. The chief was Winn Scott. I don’t know if he was Staff D or not. His two subordinates, number two and number three [ are ] David Phillips, Staff D, he’s the head Cuban guy , and Ann Goodpasture was his trouble shooter. And I think she in particular answered just as much to Staff D as she did with Scott. Both of these people apparently answered to both Harvey and Scott. SR - And then finally SR is Soviet Realities, in the Soviet Division [ of the CIA. ] They knew Oswald from his three years in the Soviet Union. So, now, let’s move to September, can we go back to the first slide? When the man known as Oswald applied for his visa to go to Mexico City on the 17th of September of ’63, he was doing it right at the time the Mexico City station was about to try to convince the Cuban Consulate, Eusebio Azcue, to become a double agent on behalf of the United States. Azcue was about to leave for Cuba in a couple weeks. Now, at the same time, you see this memo here, it says Presland, up there after KUTUBE-D, that’s Staff D, Presland is the alias for Bill Harvey, Daniel Preslin was his Staff D alias as opposed to William Walker which was his Cuban division alias. So, I thought that he was in disgrace in Rome, which was true, no longer the head of Cuban Ops, which was true, but, he’s still running Staff D as late as October 11, 1963! And that’s the last document I could find. After that, another old CIA hand comes in charge. So, Harvey’s about to leave, that’s what we know. So, next slide, please? I can switch it from here can’t I? Okay, this is the visa that Oswald gets. You can’t read it very well, but he got it in the name of Harvey, Oswald Lee, if you will, because there’s a comma in there after the Lee. So, there’s a CIA memo referring to an identity sheet of Oswald in Mexico City but this says Harvey Oswald, this is all, pretty much all we see the rest of it is pretty much blacked, or whited out. This same memo refers to the Mexico City story as “The Identity Case.” And we see the word Oswald next to it. So, what’s “The Identity Case”? We don’t know. But, we do know this, an identity sheet is where someone’s alias is kept. The use of the phrase “identity” is literally a tracking mechanism for someone operating covertly with a false identity. We don’t yet know the answer to this. But, something is very wrong. It’s a live area for research. It’s interesting, just in passing, the case officer in charge of the assassination program, AM/Lash, Cubela, in the Fall of ’63 to assassinate Castro, and the Case Officer up to the Fall of ’63, had two aliases, one was Bill Thompson, the other was Harvey Thompson. It takes a certain conceit, I would offer, and love of word play for Bill Harvey to have his case officer in an assassination case saddled with the two aliases of Bill and Harvey. Now, we have seen the identity sheet for Harvey Oswald, here is the identity sheet for Bill Harvey. And there’s his alias, William Walker. Again, this is the guy who wanted to conquer Castro, conquer Cuba, and split the Castro regime. Now, while Harvey is leaving he points out that Azcue is aiding a friend of his who is defecting and he intimates that Azcue himself should be a defection target. Azcue’s friend defects a few months later. Harvey’s successor, and that’s Fitzgerald at SAS, he writes to Mexico City, “We are extremely interested in recruiting Azcue.” That is the main role of the Mexico City station after all. Fitzgerald asks Mexico City to think about this. Because this is what you do, you get people from Communists countries to defect and you try to smoke out anyone trying to infiltrate U.S. intelligence. Those are the two roles of the Mexico City station, and that’s why all the wiretaps. Like Azcue, again, Harvey, is about to leave Staff D in early October. So, if something is going to be coordinated with Harvey this is the best moment to do it . Now Tilton says here the agency will not initiate the production of any fabricated material without an okay from the FBI. Now it’s directed to this fellow named Ray Wannall down there at the bottom. He’s the head of Nationalities Intelligence at the FBI. And that’s very important. They do Soviet satellites, their focus, their big focus was on Cuba. Now, on the 26th another note from Nationalities Intelligence, Lambert Anderson, he sends a memo to the New York FBI office. Now the wording is a subtle change. The memo says the CIA will not use any FPCC stationary or mailing list without telling the FBI. This is a change from Tilton’s assurance previously that the CIA would not use any fabricated material concerning the committee without telling the FBI. So, what I think happened here is there is an agreement between the two agencies to okay someone using deceptive practices to embarrass the FPCC with fake documents as long as the CIA is not driving it. Now the next day, September 27th, we got deceptive information, planted in a foreign country, Mexico, designed to embarrass, where the FPCC has some support. Someone calling himself Oswald goes to Azcue, and his colleague, and says, “here’s my FPCC card, I’m the head of the New Orleans chapter,” almost certainly fake, at the same time he pulls out a band new card saying he’s a member of the U.S. Communist Party. The Cuban consuls have never seen [ anything like ] this in their entire careers. If you’re going to try to get in to Cuba you are supposed to go to the Cuban CP, the communist party, and work it out months in advance, instead he walks in with a communist party card. They have never seen anybody do this. He is trying to get a transit visa to go to Cuba and then a visa for him and his wife to go to the Soviet Union. Here’s the FPCC propaganda being planted abroad in a bad light. Now for months the Oswalds have been writing to the Soviet Embassy trying to get a visa to go back to Minsk beforeMarina has her second baby in October. And it’s extremely late in her pregnancy. He tells the Soviets call my wife at a New Orleans hotel. And he tells the Cubans she’s waiting in New York for a call. So, which is it? This guy is doing some big time lying of his own. Anyway, the man called Oswald lies to Duran and tells her the Soviets have approved his visa. Duran calls up and finds from the Soviets that he’s lying, that the man called Oswald was denied. He causes a screaming scene at the consulate with Azcue that gets him thrown out. Duran gives Oswald the consulate phone number before things went wild. And then everything gets very strange after the 27th . Did Duran ever see Oswald again after the 27th? Here is her claim, on Nov 26th right after the assassination, and this is translated by, I believe, David Phillips, the Cuban Ops guy, that he never called back. Now, see all the highlights in this translation here? Uh, she said, she said, she stated, she said, and then we get to the $64 dollar question, she “claimed” she never saw him again. And that’s not very objective, and I don’t think it’s very accurate either. 15 years later, it took for Duran to actually be able to testify to the United States and when she did she said I never saw him, I never heard from him, nothing after the 27th. And there’s a political, there’s a political reason for her to be made to look bad. It was well known among intelligence in 1963 that Duran was not only the secretary but she was also the paramour to the Cuban Ambassador to the United States, Carlos Lechuga. It was reported in February ’63 that Lechuga had offered to marry her. During the week leading up to the Oswald visit we can look at September 23rd in particular, Lechuga was one of two principle men on the Cuban side coordinating back channel negotiations between Castro and JFK to affect rapprochement. 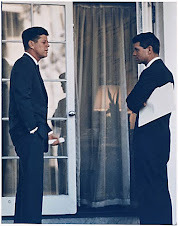 So Lechuga met with Kennedy’s man William Atwood at the New York apartment of reporter Lisa Howard who had met with Castro and has been brokering this for a year, and continued even for the year after Kennedy was killed. Now my understanding is that SAS and JM/Wave officers, like David Morales were at the meetings throughout the summer where the rapprochement strategy was under discussion. The CIA hierarchy gave orders during the summer, I have seen the documents, that these discussions had to be kept secret within the agency, they knew it would be considered a stab in the back if it had got out. I’m sure people like Morales would have taken it as a stab in the back, because what JFK was doing was a two track policy telling Castro you can have war, or you can have peace. Now, while all the Soviet consulate members are sure they dealt with the real Oswald the Cuban consulate employees have sharp disagreements about whether they saw the real Oswald or a Cuban imposter, or a Blonde imposter. This has caused a lot of controversy. The evidence is still inconclusive at least for me. I’m going to put on ice, for the moment, the question, of whether or not Oswald was impersonated in any of the consulates on the 27th or the 28thwhat I am trying to show here today is that the impersonations over the phone after the 27th are much more important because everything got incredibly strange on the 28th. I’m going to offer my best thinking on that, I got going off on this after saying to myself , well, I’m convinced Duran and Oswald were impersonated on these two days, the 28thand the 1st, what if the Mexico City station was also convinced? After all, they are the ones who are listening to Duran’s voice since she was hired that summer on the wiretaps, worse yet, what if the caller wanted Mexico City station to know that she was being impersonated? Now, reasonable minds can differ on some of these details. But, I think what happened caused nightmares for the CIA for the next couple of months, and come the 22nd of November it became a global nightmare, because this is what I see. On Sept 28th somebody called Oswald goes to the Soviet consulate one last time, making a pitch, displays a pistol, says what he needs to do to stay alive, starts to cry, causes another big scene. He is ushered out about 10:00 a.m. (local time) in the morning. The Soviets say they never see or hear him again. And that’s important, because here come the phone calls. After “The Oswald Visa Op” which is what I like to call it, “the visa op” was completed on the morning of the 28th, two hours later there is supposedly a phone call from the Cuban consulate to the Soviet consulate, and Duran is supposedly making the call and then she supposedly puts Oswald on the line. And this call is supposed to be on the wiretap system known as LI/Envoy. Now, that is the wiretap itself, you can see Duran up there and the guy named Oswald, supposedly down there. Now this wiretap system is insecure because it went right into the central Mexico phone exchange. So, Mexican intelligence had access to this, and the FBI locally had access to this as well. So, any one of them could be infiltrated. Any one of them could have a copy of the tape. Any one of them could make their own transcript. To top it off I found at least three memos from early October so far I’ll show you one of them later, and it shows, they show that the CIA’s Mexico City station and headquarters were very worried that the FBI in Mexico City was infiltrated, that there was a mole within the FBI. Now at least one phone call occurs in the following days. On the 1st the transcript shows a Lee Oswald, identifies himself. Now whoever makes these calls is trying to figure out what the man called Oswald is doing. I think it might have taken him the first day to figure out his name. These phone calls are what people have called, not just me, “the Piggyback Op.” Piggybacking on top of the original visa operation, where Oswald, or a man called Oswald is trying to get a visa. Now, Ann Goodpasture, she is going to come to the forefront here. She’s the number three person at the Mexico Citystation. She’s a trouble shooter, Staff D, in Mexico City and she listened to the tapes of these calls. I believe she figured out very quickly, like probably by the 29th that these calls, because they are usually done on an overnight basis, that the phone callers were impersonating Duran and Oswald. Duran is a known quantity. One of the other station agents Robert Shaw said, I kept an eye on Duran. He knew who she was. Scott wrote a note after Duran described Oswald on the 27th, saying is it possible to identify who she’s talking about? So, they are in the crosshairs here. Now, what’s the evidence, the hard evidence that Oswald was impersonated on these two days? Here’s the first thing to ponder, Mexico City Cuban Ops chief David Phillips put in for a special award to be given to Goodpasture when she retired stating that she was a trouble shooting case officer for Winn Scott and that she was the case officer who was responsible for the ID of Lee Harvey Oswald in his dealings with the Cuban embassy in Mexico. And this recommendation was seconded by the head of Staff D because she was a Staff D employee as well as a Mexico City. That’s what made her a trouble shooter. Even though she admitted [ to ] winning the medal in ‘78 she admitted that maybe she made the ID but she just didn’t really remember. And then by ’95 she denies she had anything to do with the identification of Oswald in his dealings with the Cuban embassy. So, either Phillips or Goodpasture is lying. Why? I’ll tell you right now, I think it’s Goodpasture. Next item I got here is both before and after November 22nd there is a Russian translator who is the one cracking the tapes called Boris Tarasoff. And he’s a key witness here ‘cause no one asked him any questions about any of the Oswald calls to Mexico City, not even to identify who Oswald is talking to. Neither the CIA, the Warren Commission or anyone else ever tried to figure out who any of these Soviets were other than this one guy Obedkov (sp?) on October 1st who was very obvious. But, Tarrasoff has a pretty good idea who they were and he said so. But, nobody ever asked him. Why? Now, I’ll get back to that. But, let’s get right to this. Duran was impersonated as well as Oswald. Duran was adamant in saying she never saw Oswald again after the 27th. Her credibility was very good. She said she saw Oswald three times in her life, all on the 27th. I think her statement was mistranslated and the doctored statements were printed by the Warren Commission. If she’s telling the truth, and that’s a big question, the September 28th had to be a phony call. Now, also, the transcripts of the calls, for the 28th and the 1st state he was speaking in broken Russian. Tarasoff says right here, ‘whatever broken Russian he spoke was terrible.’ Now, Oswald’s Russian was, on all accounts that I’ve read was excellent. One of the translators used by the Secret Service to interview Marina Oswald, this guy named Peter Gregory, and he verified to the Warren Commission that Oswald was good enough to be not just a Russian translator but also a Russian interpreter. And he put this statement in writing before the assassination. Others who met Oswald offer similar testimony about the depth of Oswald’s facility with the spoke word. Anna Meller (sp?) she was a White Russian who met him in Dallas, one of the first, thought he had a great command of the language, another woman from Stalingrad, Natalie Ray she told the Warren Commission his fluency was just perfect. And other people offered similar testimony. Now, another reason [ why ] I believe Oswald was impersonated was because Mexico City officer Robert B Riggs, here, R. B Riggs, right up there, wrote a memo the day after the assassination that said that ‘station was unable to compare voice as first tape erased prior to the receipt of the second call.’ In other words, the station had received the tape of the second call on October 1st but couldn’t compare it to the Sept 28th tape because it had been destroyed prior to October 1st or 2nd. Now, who is Robert B. Riggs? This is the CIA’s monitor here, and he admits on the record, it’s an errata sheet that Robert B Riggs is a pseudo for Ann Goodpasture. You see a number of her memos the first day, the first day after the assassination, and we know now that it’s Goodpasture taking the lead. Now, a CIA document written in ’63 says that the usual practice, the usual practice was to hold onto Cuban and Soviet tapes for two weeks before reusing them. Another December memo says a normal two week lag time for holding onto Soviet tapes. Only David Phillips tried to argue a week, and after he got shot down on that he backed off to 10 days. It is not credible to assume that Mexico City station destroyed the Sept 28th tape 4 days after it was created. The most credible thing to assume is that Goodpasture is covering up while they decide what to do next. Keep in mind that by November 23rd the new story is that no tapes have survived the assassination. We will get back to that. But. Tarrsoff completely disagrees with this. Tarrasoff said he was given the Sept 28th letter and they were, extremely, and they were very hot about the whole thing. Let me try that again, Sept 28th they are extremely interested in his identity and then he gets the October 1st call. He is told, ‘we are very hot about the whole thing and please translate it immediately,’ which he did, by the next day. And he tells the station that the Sept 28th and Oct 1st calls are the same man, and this is the man who identifies himself on October 1st as Oswald. Tarrasoff also testified, he also testified that he told Bill Bright (sp?) that it was the same man on both tapes. Now, who is Bill Bright, Bill Bright just moved over from Angleton’s outfit in counterintelligence and was now working in Mexico City. Bright had handled Oswald file while he was in the Soviet Union during that 2 or 3 year period. So, Bright knew Oswald. Bright was very excited when he heard it was Oswald. He tells us here. Who is lying Tarrasoff or Goodpasture? My bet, again, is on her. Still another reason why I believe this impersonation happened is because of a piece of funny business. There is no question that at least the October 1st tape survived the assassination with a voice identifying himself as Lee Oswald. Goodpasture admitted to turning a tape like that over, like in 1995, nearly 30 years later ( two more words here. ) Even two Warren Commission investigators agreed they listened to it with Winn Scott in Mexico City in 1964. There is no question the tape survived at this point. But, now it’s disappeared. That tape could have come from the CIA, or Mexican Intelligence, or the FBI because they all had access to that wiretap system. The FBI reported that Dallas agents who knew Oswald said it was not Oswald’s voice on that tape on November 23rd. Those Warren staffers, they had nothing to compare it to. They had no reason to believe it’s phony. So, they had no reason to pay any attention to Oswald’s voice. Since then the tape has gone into a black hole. The story is that Winn Scott kept [ a copy of ] the tape it in his safe. When he died in ’72 Angleton and his men came and picked it up and no one has seen it since it went back into the CIA’s vaults. If it’s not Oswald’s voice on the tape that tape is a phony. So, I think Goodpasture is guilty, with an explanation. I believe she concluded that these Oswald phone calls were being made in an attempt to interfere with the operations of the Mexico City station. She may have been acting as an upright officer, which is my bias, that’s why she told so many lies after this in an effort to protect an operation. Now, I could be wrong, she could have been up to no good, but, I think she’s covering up an operation. We see several memos in early October between Mexico City and headquarters again expressing concern that the FBI office [ in Mexico City ] has been penetrated. Anyone in Goodpasture’s shoes would be justified in thinking those calls were a penetration, an infiltration into CIA affairs. I think what happened is that Goodpasture tipped of headquarters in some way that there’s a problem and got the okay to start an investigation looking for the mole trying to infiltrate the CIA by impersonating Oswald. Now, an investigation like this is known as a mole hunt. How many people are familiar with the mole hunt notion? The way a mole hunt works is you plant information in various places and wait for it to pop up. If it pops up in the wrong place with somebody who shouldn’t have it you got a tip as to where your leak is. And we’ll talk a little bit more about a mole hunt in a minute. We see Dave Phillips leave for headquarters on September 30th a couple of days after that Sept 28th call. Then we see a pouch, the next day, [ Oct 1st] being delivered to him. This may be the Oct 1st tape or information about what happened. Phillips spends several days at headquarters. He goes south to Miami on October 5th where he’s met by Tilton. Tilton is the guy who kicked all this off by saying let’s embarrass the FPCC. They are both SAS. Phillips returns to Mexico City on October 9th. After a long delayed memo on the Oct 1st phone call goes out on the 8th with Goodpasture’s help. Phillips tries to hide the trip [to where?] by saying I had a series of face to face meetings with the Soviet guy I work with in Mexico City and all this and all that. But, then he got busted when he’s confronted with the travel documents showing he was not in Mexico between September 30th to October 9th. Now what Goodpasture did was she drudged up from the files the Mystery Man photos where an alleged American was entering the Soviet embassy for a memo to HQ filled with false information about Oswald designed to convince the piggy back operators that she was fooled by their phone calls. Not only did the memos include the Mystery Man picture but Goodpasture dictated to the memo writers all the particulars to tell CIA HQ that the man called Oswald was seen at the Soviet consulate right after the last phone call on October 1st. Goodpasture describes the man as athletic build, six foot, age 35. This memo goes out to three different components of Angleton’s counterintelligence division while keeping any mention of the Cuban consulate visit out of the discussion. She also kept SAS, JM/Wave, all the Cuban operations people out of the discussion. That’s the Mystery Man. That’s not Oswald. It took 13 years, however, to figure out that the Mystery Man was at the consulate, not on October 1st but on October 2nd. You cannot see it [ well ] here but see those marks between the two days? Those are red percentage marks done on a typewriter. This is not a mistake by a careless clerk. This is a classic mole hunt maneuver, using the Mystery Man photo as a “marked card.” If that picture pops up in the wrong hands and with the wrong file clerk, you know where you’re mole is. Tom Clancey calls this “The Canary trap.” The Canary trap is described on Wikipedia in greater detail, if you want to look at it. It’s a long time, [ well known ] technique, canary trap, marked card. Goodpasture pretended she had made an innocent mistake, despite numerous reviews of the photos and the date they were taken during 1963. 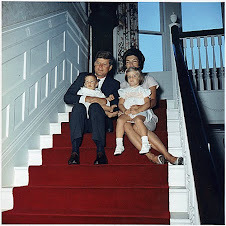 During Jim Garrison’s review of the case in ’67, the CIA was really running all over the place and rechecking everything and Goodpasture is asked what is the status of this photo. And she goes, ‘Oh, I personally checked and its right here, in October 1st, film 145." [ Bill repeats for emphasis. ] Film 145 October 1st. But, here’s film 145. That’s for October 4th, okay? When she repeats this in a chronology she creates one year later, it’s hard to see, but she refers to film 145 with questions marks. Now what this is folks, is this is a hoax, by Goodpasture, and a very clever one, and her goal is to fuzz up the date because she’s trying to glue the Mystery Man and Oswald together when in fact they can’t be glued together. And she made it up and didn’t get busted for it till ’76. Now, right after the October 8th memo is sent out, the one we just looked at, a counterintelligence guy from FBI, named Marvin Geissling, ring a bell?, he touches base with a guy named, [ CIA ] Lambert Anderson, Lambert Anderson is the one who wrote the memo on Sept. 26th, okaying the embarrass the FPCC plan. So, he was working with Tilton, Anderson was. Geissling and Anderson now have agreed to take Oswald off the FBI Security Watch list on October 9th. Now, this removed Oswald as a priority for the FBI from now until the assassination. Now, CIA officials stated later the reason for circulating these twin memos was because Oswald was probably going to re-defect to the Soviets. And this may have been true if they saw the letter [ to the Soviet Embassy] that we want to go back, but it reinforces the question of why would the CIA hide Oswald’s Cuban links to all of these different agencies? Headquarters went to pains to hide these links and then after November 22nd spent many years hiding the content of these two memos. Only in the last few years has all of this white out and black out, some of the white out and black been removed. Now we can see how different these two memos really were. Now, incredibly the CIA hid from Hoover before the assassination, these are FBI docs given to the Warren Commission, this is the headquarters file, so they hid from Hoover before the assassination, and the Warren Commission after the assassination that there were two different memos, period. I don’t see the 2nd memo surface, the one from CIA [ HQ ] to Mexico City until after the Freedom of Information Act is strengthened in ‘74 and then people force the CIA to cough it up in ‘76. Even then these docs were whited out until well into the 90’s only now can we really analyze these two memos. And that’s what I want to do to try to wrap up here. Years later Goodpasture was commissioned by the new chief to write a chronology about Mexico City and the assassination investigation, even though this chronology is in house, and not for the public, it says nothing about the October 1st tape anywhere in the chronology. You can find it very easily on Mary Ferrell’s [website] look at it yourself. There is nothing about the October 1 tape surviving. Why? Because it’s a state secret, her boss is not supposed to know and he works for the CIA. She also took elaborate pains, and this is my point here as well, to make it look like only one memo was written on October 10th, it says October 11th that is date it was received, not two, as only one of two memos is referred to. This is serious. Goodpasture is lying to the new boss, and it’s because he’s not supposed to know. Why are they hiding the second memo? It’s a mole hunt. Different descriptions of Oswald are given to different agencies while reassurances are given that everyone is on the same page. Ann Egeter, she is the analyst for Angleton’s CI/SIG, the agency that spies on its own spies, she was central to the drafting of both memos we are going to be looking at. CI/SIG’s main role was to prevent the CIA from having moles in their mists. Her job in October was to capture the mole. She brought the Soviet and WH officers to her side while keeping the Cuban officers from SAS and JM/Wave out of the paper trail. Why? Because they, I think, were the prime suspects in this mole hunt. They thought that they may have been making the calls. Now, sure maybe Cuba made the calls, maybe the Soviet Union, you got to look there too. But, it seems like kind of an inside job. The Cuban officers needed to be kept in the dark while monitoring their memos to see if any marked cards popped up. Besides SAS and JM/Wave, the prime suspects, the mole hunt is also looking at the FBI, State, Navy, and even the Mexico City station itself, and that’s because there’s a mole loose. Right? And the FBI has a mole loose, I’m going to show you that document in a minute, and Mexican intelligence had a very bad reputation, Goodpasture herself said they are corrupt and cruel, her exact words. And they all got access to these wiretaps. This was not a secure wiretap. Here’s the memo, one of three, this states that there are about 20 memos that talk about OD/Envy, double agent, OD/Envy is the FBI, OD/Envy was kind of their way of sticking it to Hoover, and this illustrates the CIA’s fear that the FBI in Mexico City was infiltrated with Cuban agents. And Goodpasture knew her own station was insecure because they had Mexican intelligence guys and gals doing the translation from Spanish into English and giving them the raw feed from the phone exchange. Now, one of the memos, this is the one to FBI, State and Navy, this provides the Mystery Man like description of Oswald, athletic build, 6 feet tall, age 35. And this goes to the headquarters of the three agencies and it assures them that the CIA Mexico City station is going to provide this info to their respective Mexico City field offices. Meanwhile, here’s the other memo, this provides what I call the Robert Webster like description of Oswald, 5’10”, 165 pounds to the Mexico City CIA station and [ headquarters ] tells Mexico City to provide that description to the field offices of those agencies. Now the Mystery Man is roughly the same size as Robert Webster. Robert Webster was a defector about a month before Oswald and he was about 5’10”, 165 and then Oswald comes around about a month later, and it’s always kind of been my theory that Oswald was sent to the Soviet Union, not as a spy, and he may not have been sent, he may have been coaxed just like he may have been coaxed in Mexico City, but here are the two men right there, now, they’re not exact, but there’s a similarity there. And if I was on the Soviet side and I saw Webster pop in in September and then Oswald in October that would create loose lips on the Soviet side. And that’s what you want, loose lips sink ships. And you take down the information and you give it to headquarters and you got some new information as to what the Soviets are thinking. The biggest lie is that the memo assures these Mexico City field offices that their headquarters will be given the same description as they got, but in fact they’re not. When you look at the headquarters file provided to the Warren Commission it shows that the FBI headquarters was never given the same description as the one given in Mexico City. In other words, FBI HQ only got the Mystery Man description but the FBI [field office ] in Mexico City only got the “Robert Webster” description. So, the [CIA’s} Mexico City station is left with inaccurate information regarding Lee Henry Oswald, his physical description, and the indication that he’s still waiting to return to the United States. A crucial marked card here, is CI/SIG’s statement to CIA Mexico City station, this came from Egerter, this nonsense, that the latest info on Oswald was [ a State Dept report dated] May ’62. But, then they say, see the highlighted part? It says distributed locally, but then the next sentence after that say that paragraph 2 and 3 go elsewhere. Well, the last one is paragraph 3 and what they are saying here is we got that from OD/Acid, that’s the State Dept. and they are saying don’t give that out. So, the bottom line here is that they are saying do not give the information about May ’62 to the FBI and the other agencies and the reason why is because it would have blown the whole game, because the FBI had been following Oswald all through the summer of ’63, [FBI] HQ knew all about him. So, they are hiding this information from HQ. Now, why are they hiding? 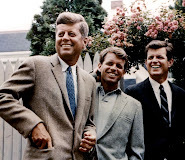 To plan a big assassination program on JFK? I would say no. I would say, you can make that argument, I suppose, but I think the logical thing is that they are doing a mole hunt, not complicated, very simple, trying to smoke out where the leak is. If the FBI had heard CI/SIG was claiming that the latest info on Oswald was [a State Dept report dated] May ‘62 they would have known the CIA was running a mole hunt and the FBI is one of its targets. See for example the mole hunt memo for FBI HQ which is all about the Soviets, and nothing about Cuba, nothing. It’s not directed to the Soviet division which is what you’d expect, instead it goes to, look down on the bottom, [ handwritten in on bottom right ] it took me awhile to crack that, Nat Int, that’s Nationalities Intelligence, that’s a division that studied Soviet satellites, and Cuba in particular. And if you look up to the top you see Ray Wannal that’s the head of the FBI’s Nationalities Intelligence, remember, he’s the guy who got the memo from Tilton on the 16th saying the CIA’s going to conduct a deceptive action designed to embarrass the FPCC. And the other name there, we’ll get there in a sec, you see Wannall, by the way, in subsequent memos before November 22nd, and this section gets totally cut out of the JFK assassination investigation because they don’t want to go there. This last name Anderson, he’s the guy who responded to the Tilton memo on the 26th, saying we got an agreement with the CIA. They are the ones who worked with Tilton in September, right before Oswald comes. Now they’re the ones getting the heads up about Oswald, not the Soviet division. This whole thing is about the Soviet division. But, it’s going to the Cuban division, and more particularly the people who cut the deal for the man called Oswald, I believe, to go in and do this deceptive operation. With all these marked cards floating around the hope was to capture these piggyback operators. It indicates a belief by these officers that the mole was an inside job, and not from Cuban intelligence. All references about Cuba and the FPCC and the Cuban consulate are kept out of the Oct 8th letter and the Oct 10 twin memos in order to keep SAS and JM/Wave out of the game. So, why? Because officers with a U.S. intelligence agency working the Cuban beat were the focus of a mole hunt. Someone impersonated Oswald and Duran on the phone. The best place to look for it was SAS and JM/Wave, the second best, was FBI, State, and Navy in Mexico City. Who else would be motivated enough to impersonate Oswald and Duran? Who else would have the ability to get into the wiretap system and leave such clever clues? I think it’s important to take in just how clever the mole hunt was, and how the Warren Commission and the HSCA were totally clueless. And to recap, one memo went to the FBI and the other agencies, and it describes Oswald like the Mystery Man, 6 foot, 35, athletic build, and incredibly it says it’s going to your representatives in Mexico City. It’s just not true, because Mexico City is getting the “Webster” description, 5’ 10”, 165, and it says give that to the local agencies. So, the documents that have been provided about Oswald after ’62 are all filled with FPCC stuff had been taken out of his 201 biographical file and parked in the FPCC file, that’s well documented, you can see that right on the documents themselves the 201 is crossed out and the FPCC numbers put in, and that file was tightly held by Angleton’s people in CI/SIG. So, with good reason HQ kept in mind the possibility that the Mexico City station itself have been penetrated. After the assassination it was clear that an enormous paper trail on Oswald had been created as a result of this phone call the CIA had every reason to believe it was an inside job. And that’s why they created that mole hunt. This mole hunt, however, did nothing but create this enormous paper trail. If the extent of the paper trail was seen, if the American people had realized that these officers had been duped then the CIA would have been sunk as an agency and the careers of its officers would have been destroyed. They had to cover it up. I think that’s why that phone call was placed on September 28th, I could be wrong but this is what I want the debate to be about, to blackmail the Mexico City station, the CI/SIG division, so that they would be unable to investigate Oswald and inclined to just cover it up. On November 22nd Angleton’s men, the CI/SIG chief Birch O’Neal he tells the FBI that the only information the CIA has on Lee Harvey Oswald is what was passed onto them from FBI to State. And we just looked at all of these documents that were not created by FBI to State but were created by the CIA. Why is he lying to the FBI on day one? He’s going to get caught, but what they got to do is they need to figure out their story, he needs some time here. He knows he has to obscure the paper trail of October. But, what he does, however is he tells the Mexico City station to chase all the Oswald files back to Sept 27. (DIR 84886 ) He knows about those first days at the consulate, even though Mexico City never wrote about it, and claimed it didn’t know anything about it. After that conversation the new version of the story is that all the tapes were destroyed by the time of the assassination. In my opinion, Sylvia Duran is one of the few people who told the truth in this whole affair. After the assassination they manhandled her, they hurt her, [ they tortured her ] but she wouldn’t change her story. She said that during this period she was not afraid to die. While using force and trying to make her say what they wanted her to say, which was “I was Oswald’s girlfriend.” That’s what they wanted her to say. That’s what they accused her of. That’s what Winn Scott tried to have them put in her mouth. She kicked her interrogated from Mexican intelligence right between the legs. Duran’s credibility was effectively attacked by her husband’s cousin, Elena Garro who said that Duran was having an affair with Oswald. Now I am still looking for a hard copy of this document. The story I have read is that Garro finally admitted in 1996 that she made it all up. That was in an interview with a Mexican writer conducted entirely in Spanish. And that’s why…I wonder if there is a way to get Sylvia to come to Dallas next year for the 50th, or at least provide a statement. Many of the original researchers in this case are now dead. These researchers did incredible work, and pushed the dialogue to where we are today, with the majority of the American public after all we hear they still think we have it basically right. Those of us here and people like us carry the work forward not only in this case but cases like it that push this central narrative forward. Terrible things have been done to the American people, and in the name of the American people, and these things have been hidden under the guise of national security, under the guise of patriotism, under the guise of plausible deniability. We have the right to know our history. We have the right to debate our history based on real documents, not on fairytales; documents in the public domain, not pundits on television should inform our judgement. When we know our people, when we know our history we can move towards justice, and restore our dignity as a people. LI/Envoy was insecure, was through the central phone center, FBI and Mexi Intell had access to. LI-Feat - was more secure, CIA only, was not out of the central phone exchange, more like a little listening post. 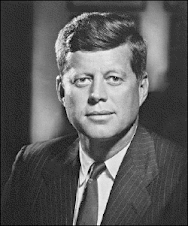 Whoever killed Kennedy came out of Cuban ops. This presentation gives a bigger role to Bill Harvey than previously known. Wanted to focus on Tilton and Anderson. Wants more integration, share documents, etc. DeMohrenschildt stayed at Tilton’s house and allegedly kills himself at Tilton’s house. Is this the same Tilton?